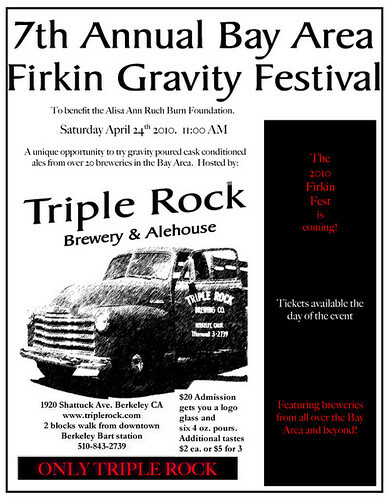 This Saturday, April 24, the 7th annual Bay Area Firkin Fest will be held at Triple Rock Brewery in Berkeley. Doors will open at 11:00 a.m. and tickets are $20. Admission includes a commemorative logo glass and six 4-oz. pours. Additional samples may be purchased for $2 each (or 3 for $5). This is one of the most fun festivals of the season, especially if you love cask beer. See you there.